New subscribers will get our welcome email with a link to the "Find Your Perfect Campsite" freebie. Your goodies include the latest stories and tips for camping, gear reviews, random drawings for prizes, as well as details for wilderness areas to explore. Your information is kept private and only used to send your goodies once or twice a month. 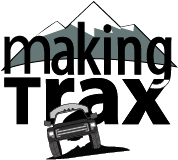 Thanks for your interest in Making Trax Camping. Happy off-roading!